The Great Recessions is well behind us by now. In fact, for almost a decade the United States has experienced strong economic growth. As a result, borrowers have generally been able to make regular payments on their debts. Furthermore, lenders learned their lesson and tightened their lending standards, no longer issuing paper-free loans. However, recent data is giving mixed signals about the state of the American consumer. For example, home mortgage delinquencies have hit record lows. But delinquency rates for auto loans continue to nudge up, which often leads to repossession. The most recent National Delinquency Survey from the Mortgage Bankers Association has terrific news: by the end of 2018, the seasonally-adjusted delinquency rate had fallen to 4.06% of all loans. This rate measures the delinquencies on residential properties with one to four units and represents the lowest rate in 18 years. The positive news was broad-based: rates dropped on a year to year basis across every loan type. The rate also declined 41 basis points from the previous quarter, so there is no sign of any recent uptick in delinquency. In Florida, the delinquency rate dropped an astounding 458 basis points from 2017 to 2018, though this reflects a higher rate due to natural disasters at the tail end of 2017. However, the report is excellent news for lenders and those in the market for a home mortgage. From the New York Fed comes less welcome news: auto loan delinquencies have risen to their highest point since the end of 2010, or basically since the end of the Great Recession. According to the Federal Reserve Bank, over 7 million borrowers were at least 90 days late on their car loan by the end of 2018. This is a million more people than those who were delinquent in 2010, though an increase in the number of auto loans explains some of the increase. Of course, the news wasn’t all terrible. The 90-day delinquency rate is only 2.4%, or essentially only 1 out of 40 borrowers. However, this is an increase over a low of 1.5%, which was reached in 2012. What explains the rising auto loan delinquency rate versus the falling mortgage delinquency rate? Probably borrowing standards. The auto industry has definitely increased the number of subprime loans, which are loans to people with less than stellar credit. These borrowers also have the highest delinquency rates, with those borrowers whose credit scores are below 620 at the most risk of going into default. Nowack & Olson is one of the premier bankruptcy law firms in South Florida. If you are struggling with mounting debts, we can help. 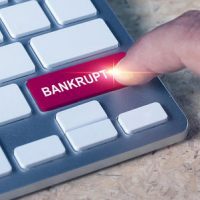 A consumer bankruptcy might be just what you need to get some breathing room and take control of your finances. Please contact us if you have questions. We are happy to offer a free consultation to members of the public, which you can schedule by calling 888-813-4737. Get started today.